Reno Beton offers Concrete work, as well as floor preparation and polishing service in Montreal. We offer Stucco siding and all types of Acrylic coating insulation service. We specialize in interior and exterior acrylic and stucco application for commercial and residential buildings. Réno Béton Montreal offers high-quality concrete steps, outdoor stairs, porches and patios for both new constructions and renovation projects in residential and commercial buildings. We are a leading specialist in installing high-quality epoxy and resin flooring, self-leveling concrete, and polished concrete for home, retail, hospitality, industrial and healthcare environments. As a leading concrete contractor in Montreal, Reno Beton stands out as a full-service concrete work company. 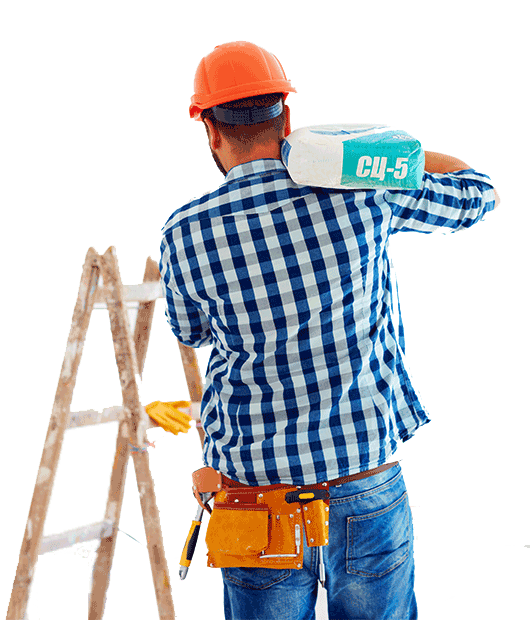 Our experienced technicians specialize in ICF (integrated Concrete Form) Installation, concrete stairs and patio refinish, foundation repair, as well as all kinds of stucco and acrylic siding work. We offer many types of concrete works such as the installation and repair of concrete floors and stairs, pool area, walkways and basement underpinning. At Reno Beton, we are your one-stop solution for all your concrete installation and repair needs in Montreal. Whether it’s a rebuilding a whole concrete structure or repairing a concrete pathway, our expert concrete team ensures quality workmanship every time. We make the estimation project as easy as possible for our clients. We will visit your home, evaluate the site and provide a written, no-obligation estimate of the recommended services. Reno Beton is a top-rated leading Montreal concrete contractor. We offer expert building and installation service of Insulated Concrete forms (IFC) that are an insulating forming system for poured-in-place concrete walls and foundations. A building option that provides homeowners with a property that is safer and healthier to live in and environmentally-friendly. There is a sizable advantage over ordinary wood framed homes which include lower energy bills, lower maintenance, better soundproofing and fire resistance. 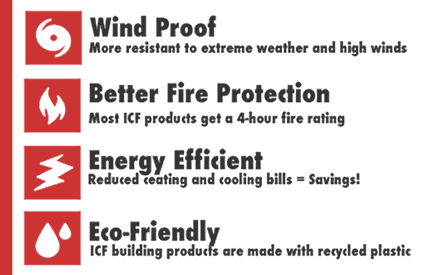 If you want a home with a solid, high-quality construction for greater comfort and security, ICF is your best choice. Whether you are a homeowner, a design professional or a contractor, we would be pleased to help you with your next building project! I hired Reno Beton to do the refinishing of my father’s outdoor steps and was really impressed by the quality and speed of the service. I only used this company once but I was able to feel that I’m in good hands from the moment the crew arrived in until the work was completed. I called them on a Sunday for an emergency basement repair, and a Greg quickly came and stayed until the issue was fixed. Well recommended. Very nice service. I can’t be happier with the pool area concrete work this company did. Everything was done according to specifications, and on-time and budget.